Summary: Armboth Fell is a wet area of fairly uninteresting moorland to the west of Thirlmere. 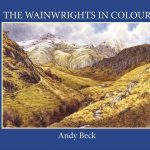 There was no measured height or even benchmarks on any maps of the day so there is some question as to why Wainwright included it as a fell in the Pictorial Guides but he did so and included it on all of his planning lists. By looking at the 1 inch maps of the day Armboth Fell is an almost round 1500′ contour line between Fisher Gill to the north and Launchy Gill to the south and perhaps his curiosity was drawn to this relatively unchartered land. 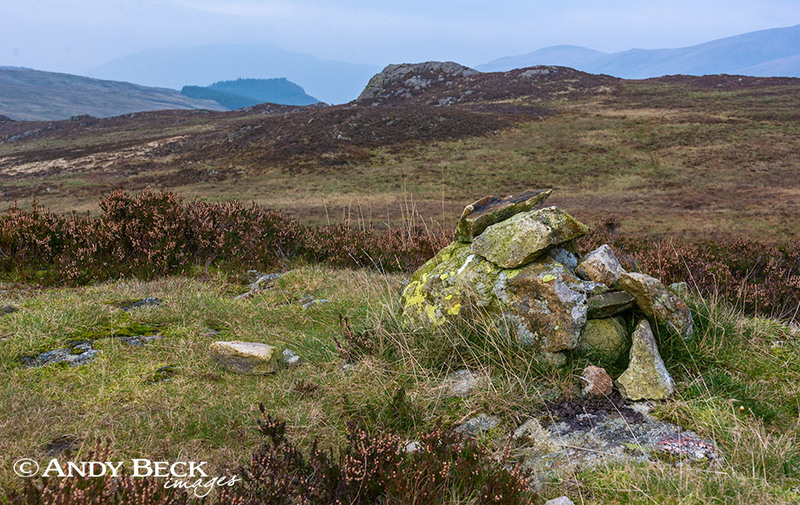 There is one character of Armboth Fell that cannot be questioned, and that it is wet, very wet, the land here acts like a sponge for the ridge of the central fells and is slow to drain. It is here on Armboth Fell that Wainwright made perhaps his biggest error in calculating the summit of any unsurveyed fell. He marked the summit as a point on a small rise of rock and heather at GR: NY29584 15739 and at a height of 1570′. It must be remembered that AW was making an educated guess at the height and in reality he was out by 12′, the height of this “summit” has now been measured as 1558′. There may be a clue as to why he chose this point as his summit, the fact that there was a small cairn on this mound when he visited. Wainwright did intimate that there was another high point to the north-east of a similar height. On my visits this has always puzzled me, the rock prominence to the north-east is obviously much higher, even to the untrained eye. In fact it is 16′ higher. Therefore in writing the Pictorial Guide AW was not only incorrect in the location for the highest point of the fell but also its true height. 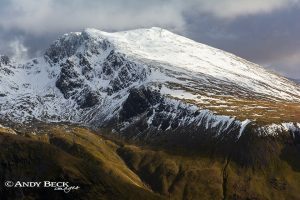 Those wishing to “tick off” Armboth Fell as part of a round of Wainwrights may consider visiting both summits on the same trip, the fell does not attract many repeat visitors. Armboth was a small collection of houses, including Armboth House on the west shores of Thirlmere, these are now gone and were just south of the Armboth car park. The visit to Armboth Fell can easily be enhanced by diverting to Fisher Crag to take in the views of Thirlmere. Topographical details: Wainwright summit, 1558′ 475m GR: NY29584 15739 marked by a small cairn on a grass and rock platform, true summit 1575′ 480m GR: NY29679 15968 on a rise of bare rock resembling the upturned hull of a boat, there may on ocassions be a small cairn there of one or two stones. The two “summits” are approximately 200m apart. Points of interest: Most walkers visit the summit of Armboth Fell and head straight off to their next goal. However, there are several points of interest in the vicinity. Fisher Crag to the east provides an excellent aerial view point of Thirlmere and across to the Helvellyn range of hills. On the exposed rock of the true summit it is worth having a look for some unusual markings on the rocks surface, circles, squares and diamonds all carved into the rock, some are faint but they are there. It is not uncommon to see small herds of red deer in this area, especially in the vicinity of Launchy Tarn. 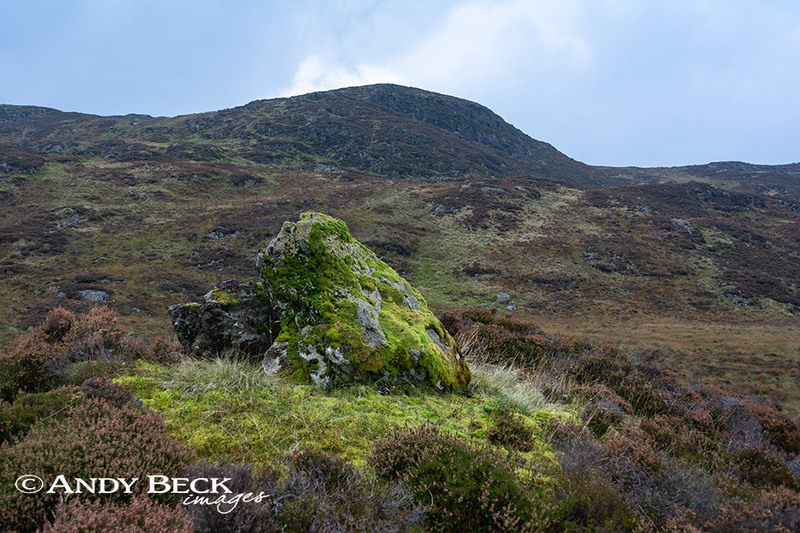 There are several distinct boulders in the area of Armboth Fell, one to the south of the summit used to support a shepherd’s cairn, another stands alongside the footpath from Armboth which looks as if it can easily be toppled over. In the forest are the remains of many intake walls and folds which reflect the historic past of the land before the forest was planted. Tucked away is a neat little hut in great order, if you find it please respect it. Tarns: There are several pools of water in the area, mostly they are unnamed. Launchy Tarn lies to the south of the summit on Launchy Gill. Just to the west of Fisher Crag is a tarn which is now being engulfed by vegetation, it was the subject of a painting by William Heaton Cooper when it was a large sheet of water. West of Armboth Fell summit is a reedy tarn in the low ground before High Tove. Waterfalls: Launchy Gill has several fine falls, some of which are difficult to access. Adjoining fells: High Tove to the west reached by a path which crosses wet ground. Brown Rigg lies to the south-east reached by crossing Launch Gill over pathless terrain. Nearest facilities: Car parking, a large car park at Armboth on the shores of Thirlmere (pay and display). Other facilities are a bit further away, pub and food at The King’s Head Inn, coffee shop and accomodation at The Lodge in the Vale. Star rating: (1.2 / 5) I have enjoyed my visits to Armboth Fell mostly down to the fact that I have visited in different seasons and taken time to explore and try out various routes. However it still gets a low star rating due to the normal conditions underfoot.